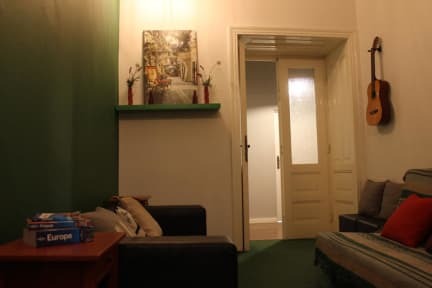 Woodpecker hostel is situated in the north part of the Old town city center. This means you'll be directly inside the area to explore and everything is at walking distance! 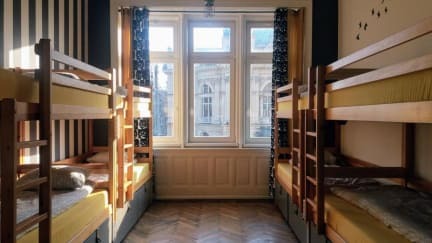 Our cozy hostel has 32 beds in a 6-, 8- or 10 bed dorm and you can use the shared kitchen with free coffee and tea. The staff will greet you with a smile and a warm welcome in Krakow! - *Early arrivals are welcome to use the luggage storage from 8 am. **After check out you can leave your luggage till 22:00 (10 pm). - Regular reception from 8:00 - 23:00 (8 am - 11 pm), delayed alternative check in between 23:00 - 00:00 (11 pm - midnight). - Lost key/ disturbance/ emergency service 24 hours available. - Check in after midnight is not possible, because we care about our hostel guests' sleep. - Check out between 8:00 and 11:00 (8 am - 11 am) or exchange keys, for deposit, in the evening before 23:00 (11pm). - Key Deposit: 50 PLN or 10 Euro per set of keys with padlock. - Strong alcohol, heavy drinking and stag/hen parties are not allowed. - Age restriction 18-50 years old. - Reserving a bottom bunk is not possible. Cancellation policy: 48 h before the arrival date. 24/7 staff available for those already checked in, in case of emergencies.